For many people, this is a matter of personal preference. You either like the cool silver look or the warm golden look. But if you're not sure or like them both, then there are a few factors that could help in your decision. As you read this, keep in mind your lifestyle, skin characteristics, and budget. You may find one that's a clear winner for you. Tip: Do you like a pink romantic look instead? Check out our article on rose gold. Both are made from pure gold and mixed with alloys. There is no such thing as natural white gold. Gold is a precious metal that is very soft, so alloys must be mixed with it to make it durable enough for jewelry. Yellow gold is mixed with copper, silver, zinc, nickel, and/or palladium. Of those alloys, the copper content is the highest in order to maintain the gold color. White gold is mixed with more silver-colored alloys, like palladium and nickel, to give it a paler color. Then it's plated with rhodium to give it the white gold or platinum look. You'll see both white gold and yellow gold labeled as a certain karat, such as 14k or 18k. This refers to the purity of gold in the metal (pure gold is 24k). 14k means that 14 parts of the metal are gold and 10 parts are alloy. So whether it's white gold or yellow gold, 14k always means 14 parts gold. It's all the same gold content. Just the alloys used are different, plus the extra rhodium plating for white gold. 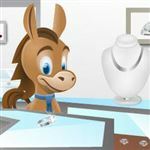 To determine the best gold content for you, read our detailed guide: 10k vs 14k vs 18k gold - what's best for your jewelry? White gold is a more universal color and looks good on just about everyone. So if you're planning a surprise proposal and have absolutely no clue what she likes, it's usually a safe choice. White gold has an expensive platinum look, but for less cost. White gold looks virtually identical to platinum, but for just a fraction of the price. For example, this simple solitaire setting on James Allen is just $180 in 14k white gold. The same setting in platinum costs $830. Appearance-wise, there's no difference at all. White gold is more durable than yellow gold. Because of the alloys mixed with white gold, it creates a more durable metal than yellow gold. White gold won't get scratched or dinged as easily. Thus, it may be a better choice for more active girls. White gold requires more maintenance. Over time, the rhodium plating on white gold gets worn down. You'll start to see the pale yellow color coming through. So every few years, you'll have to get it re-dipped in rhodium. But the good news is that it'll look completely brand new again. Tip: Ask your jeweler if they provide rhodium plating maintenance for free. A lot of them do. If not, it's usually not too expensive (generally around $30 - $60). It may cause more irritation to sensitive skin. White gold is mostly mixed with nickel to create the paler color. So if you have a nickel allergy, you could get a reaction and skin rashes/blisters. Nickel allergies are pretty common. It's best to find out if you have one before buying a white gold ring. See more white gold engagement rings here. Yellow gold is classic and timeless. 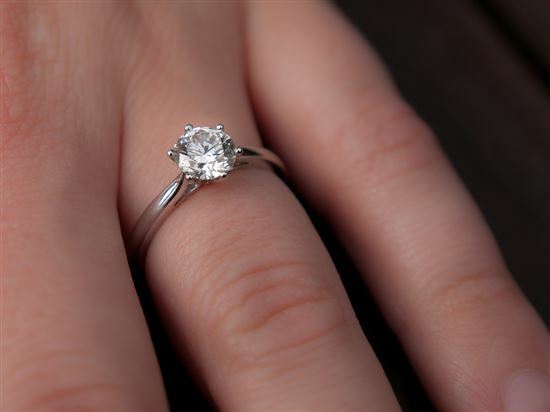 It was the first metal to be used for engagement rings and is considered more traditional. It looks especially flattering on darker, olive, or tanned skin tones. Yellow gold is great for girls with vintage tastes. Yellow gold has a warm luster and looks especially good on vintage settings. It used to be the most popular, but is more unique these days. And it's not easily imitated (unlike white gold, which looks like both platinum and sterling silver). Yellow gold is easy to maintain. You don't need to get it dipped in anything every few years. Just take regular care of your ring and it'll keep the shine. All you have to do is soak it in mild soap and warm water and then dry with a soft cloth. It's easier and cheaper to resize. Maybe you didn't know that the size of your fingers naturally changes over time. Yellow gold is easier for jewelers to resize because it's softer and they don't need to add the rhodium plating. Also, if you accidentally damage your ring, yellow gold is easier to repair. But it gets scratches more easily. But you can't just take it to a jeweler and make it look brand new again. So if you're very active, 18k yellow gold may be too soft. Go for 10k or even 14k. 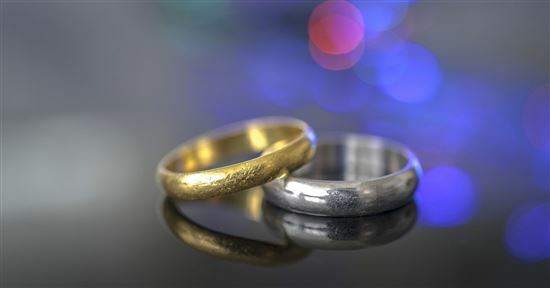 But some people also like the romantic idea of an aged yellow gold band to signify the age of the marriage. View yellow gold engagement rings. Which One Is Better for Smaller Budgets? There is very little price difference between white gold and yellow gold, because the amount of real gold in them is the same (of the same karat). And the gold is what you're paying for, not the alloys. However, white gold may be just slightly more expensive because of the rhodium plating. The real price difference, though, is in the kind of diamond you can mount in them. If you're not sure what kind of setting style and shape to choose, visit James Allen's Inspiration Gallery before you buy an engagement ring. This feature allows you to see real images of rings people have purchased in the past and can help you figure out what style matches you best. White gold rings show color more easily. A diamond with a slightly stronger yellow tint will be more easily noticed. So it's best if you don't go below a diamond color of H if you're setting it in white gold. Tip: If you're looking at diamonds in the colorless range (D, E, F), then you'll want to only consider white gold or platinum. There's no point setting a colorless diamond in yellow gold, because the diamond will pick up the band color and appear more yellow. 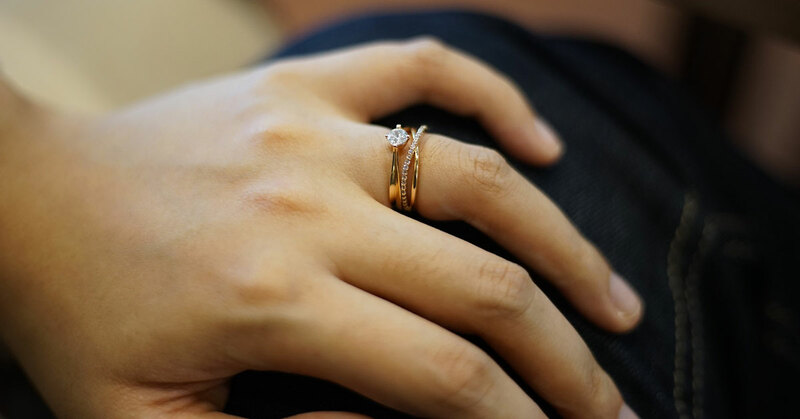 On the other hand, yellow gold rings can better accommodate diamonds on the lower color scale. In fact, they're beautiful together. You can safely go down to a J diamond or even a K diamond if you like warm-toned jewelry. Take a look at this example. The diamond in each ring is color J, but notice how it looks much whiter in a yellow gold setting. 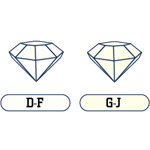 There's a huge price difference in an H diamond and a J diamond. For an excellent-cut 1-carat rock, the price difference could be as much as $1,500 - $2,000. If you're stuck between the choices, this may be the final decision-sealer. This is really based on your personal preference. To most people, you either like how a certain color looks on you, or you don't. Both white gold and yellow gold are timeless colors that will never go out of style. Just keep in mind that each have their disadvantages. And finally, consider your budget - that may influence your ultimate choice. Leave a comment about White Gold or Yellow Gold: Which is Better Engagement Ring?